In celebration of the warm weather coming, I have a few specials going on! 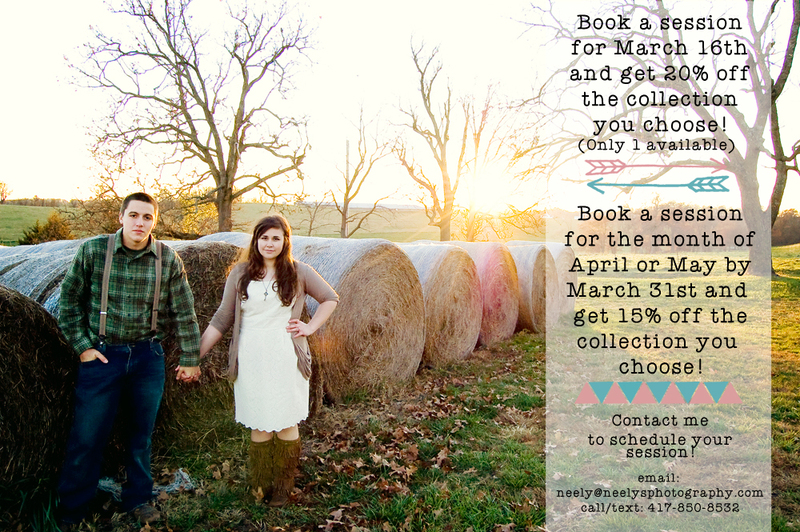 I am planning on doing some mini sessions in April. I'm doing them a little differently this time. I am offering a few different options to ensure everyone that would like to can take advantage of the opportunity. 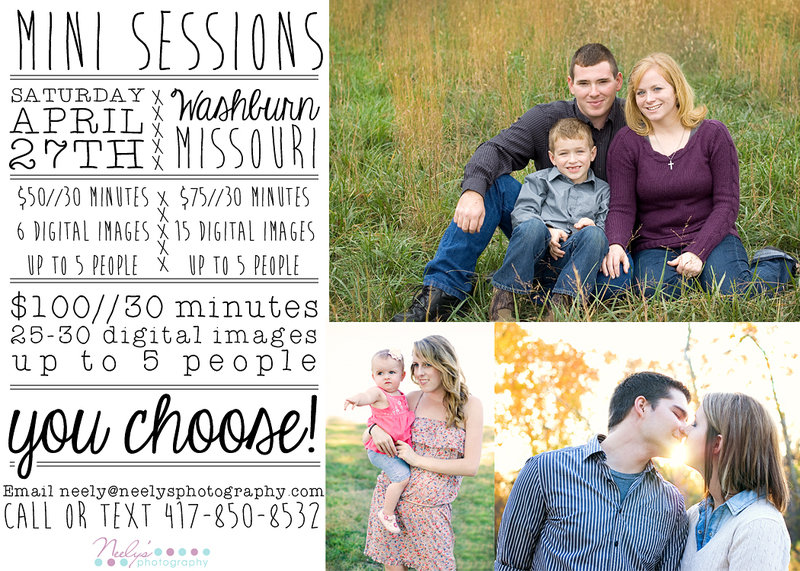 If you're in the Joplin area and would be interested in doing mini sessions, I was thinking about doing some in May if I had enough interest. If that's something you'd like to do, please let me know! I'm also offering some discounts on sessions for April and May as long as you book them by the end of March!